The range of applications of carbon nanotubes is continuing to increase rapidly and now extends far beyond only hi-tech products to include convenience goods. This has raised concerns about potential adverse environmental effects of carbon nanotubes. A single wall carbon nanotube is a one-atom-thick sheet of graphene that is rolled into a tube: this type of nanotube possesses a number of exciting properties, including high flexibility, that are far superior to those of multi wall carbon nanotubes or carbon fibers. 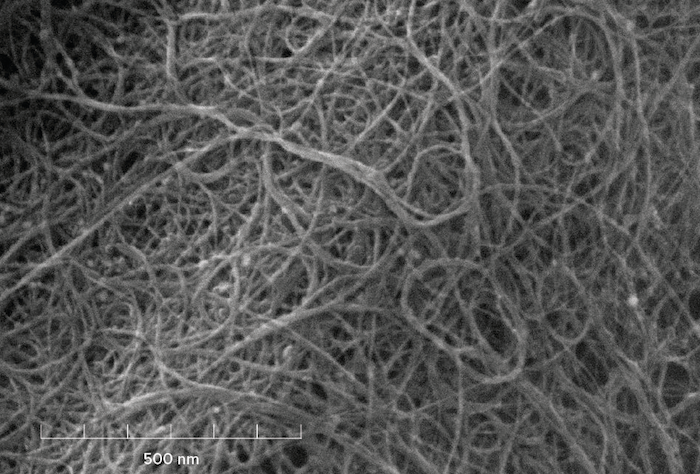 Envigo, an independent European research laboratory, has conducted studies on possible ecotoxic effects of TUBALL™ single wall carbon nanotubes, produced by OCSiAl. The ecotoxicity potential of these nanotubes was examined by treating algae, which are acknowledged as being a very sensitive species, with a saturated solution of the nanotubes for 72 hours, as per the OECD chemical testing guideline 201. The measured algal biomass densities and thus the growth rates demonstrated that there were no toxic effects after exposure of algae to TUBALL nanotubes. “There is no indication that dissolved TUBALL single wall carbon nanotubes have any intrinsic ecotoxic properties at all when tested in solution as stipulated by the testing guideline. Furthermore, unlike multi wall carbon nanotubes and carbon fibers, single wall carbon nanotubes are highly flexible and may thus generally have a lower potential to harm the cell walls of algae”, concludes Dr Detlef Schuler in his article that is currently being prepared for publication. Fundamentally distinctive features of single wall carbon nanotubes, compared with multi wall nanotubes and carbon fibers, have historically been underestimated by researchers. A number of recent test results have illuminated various effects of these nanomaterials interacting with the environment. One example is a study led by the Russian Far Eastern Federal University that demonstrated both acute and chronic toxic effects of multi wall carbon nanotubes on marine algae. The researchers concluded that mechanical damage to the cell walls was the reason for this effect, and that this was due to the rigid nature of this type of nanotube. More specific and comprehensive studies on single wall carbon nanotubes’ potential toxic properties are expected to be conducted in the very near future, including inhalation toxicity studies to be carried according to the relevant OECD test guidelines. Tests on migration of single wall carbon nanotubes from a material’s matrix and case studies in the workplace to measure the exposure to inhaled nanoparticles and the environmental risk for workers are already in the public domain.